Spring cleaning is in full effect at my place!! 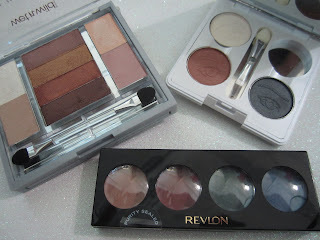 Im getting rid of tons of makeup that i just don't use anymore! They need a new home! *I take AMAZING care of my makeup! Most of these items aren't even used! *ALL LIPGLOSSES WERE NEVER USED! If you follow me on twitter (if u don't i suggest you do ;) ) then you have probably seen my new hobby!! I have been loving making crystalized phone case, business card cases, compact mirrors, purse hooks, baby binkys, pill cases, YOU NAME IT!!! How did I get started with this whole thing? Well, Ive been wanting a super cute crystalized phone case for quite some time, but I could never find one that I loved or they were WAYY too expensive! So I took matters into my own hands and decided to make my own. After doing mine, I really enjoyed every aspect of it! Its like my creative outlet. I decided to make them and sell them!! So, I opened my own etsy shop and went to work!! I got loads of compliments on my new case from strangers, co workers and family members. 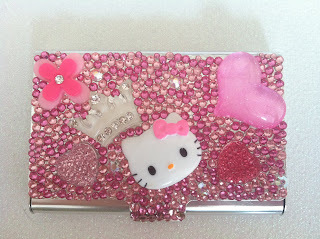 Pretty much all the girls that work with me have one of my phone cases on their phones!! 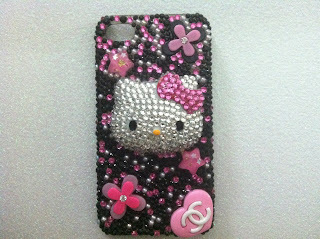 Don't forget to check out my website www.ohsosparkly.com for more!! *Yup! Better to prevent then to repair! 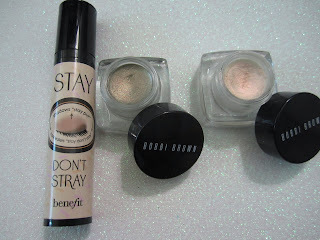 *LOVE bobbi brown creamy concealer! But i also use nars duo, studio finish, studio sculpt, laura mercier secret camoflage. *LOVE them but im soo lazy and havent found the BEST way to apply them. *yes, but im naughty and don't do it. I try to get my money's worth! *brushes and eye lash curler! *yes, ive been LOVING the present by philosophy! *i love them, but i find i hardly use them due to always being in a rush! *I had a sample of bare minerals matte and i really want the full size! * i do! especially mascara! Why hello there my beautiful lovelies! It has been a while hasn't it? Im sorry :(. Im going to start to embark on a journey called project 10 pan. Now I'm sure you have all heard of it, you know the one where you have to use up 10 makeup items before you can go shopping again? I never thought that I would do this, because i have a shopping addiction, but i made a deal with the boyfriend. 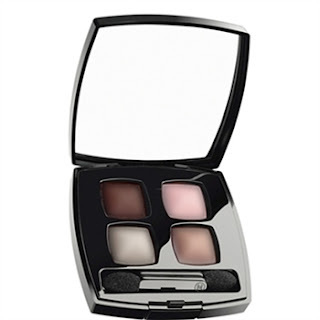 If i use up 10 products, he will buy me my chanel Mystic eyes quad that i just need in my life! I mean just look at it! Isn't it soo freaking pretty?? I do need one last little hurrah before i start this LONG journey. 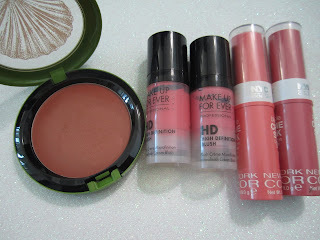 So i will be heading to the drugstore to pick up some things that are on sale! Anyone wanna join me on P10P? Let me know :) I'll keep you guys updated i promise! 1.What time did you do your makeup today? mm.. my foundation is seeming to be a little light for my face. i love neutral colors with like pop of colors! but as for people that inspire me makeup wise is kim kardashian and her glam team, & lauren conrad. i love liquid foundation for the coverage, but its not complete without an amazing powder. mineralized skin finish natural anyone? So I notice that everyone and their mother does this so i decided to be a follower and do it as well. so here it goes. ~Kim Kardashian because she is BEAUTIFUL and i LOVE her so much. ~MAC F&F sale 25%! ah broke. ~Candles by victoria need i say more? 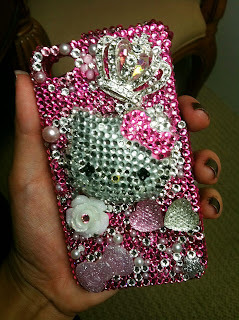 ~hello kitty is always an in. yes those are my in's and outs as of right now. wow two posts in one day. I AM ON A ROLL. YAY ME! OH IM GOING TO START A NEW THING ON MY BLOG NOW! thats all i can think of... pretty pricy if u add it up... but if you know where i can get Your ladyship pigment and Feline khol power please let me know and i will be forever greatful. i know they are discontinued... but PLEASE help a sister out. i will try to update this as much as possible! !